The fifth session topic was Quality Management Systems – An Integral Component of Halal Assurance. 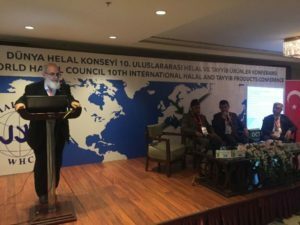 Session speakers were Dr. Said RATBII: HALAL FOOD & QUALITY OF ISLAMIC CENTER OF LA VALL, SPAIN, Dr. Muhamad Nadratuzzaman Hosen, and President Director for Muhammadiyah Centre for Halal Inspection and Studies. Moulana Said NAVLAKHI: SANHA – SOUTH AFRICA and Dr. HANI AL MAZEEDI- Kuwait Institute for Scientific Research, State of Kuwait. 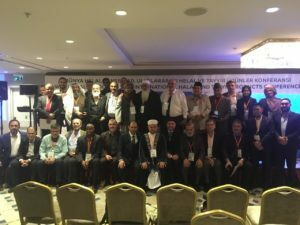 The 16th AGM of World Halal Council held under the same roof on 29-30 October 2018. Print article This entry was posted by huseyin on November 4, 2018 at 4:22 pm, and is filed under CONFERENCE. Follow any responses to this post through RSS 2.0. Both comments and pings are currently closed.